The purpose of this trial was to determine the feeding advantages of “low moisture˝ cooked mineral tubs (referred to as “tubbed” mineral) Vs. conventional “loose-bagged” minerals. This study was performed in Goliad, Texas. The trial was conducted for a one year period, which started October 2003 thru October 2004. Dr. Joe Paschal – Livestock Extension Specialist was in charge and oversaw this trial. Both groups of cattle were safe in calf at the start & had equally improved pastures, the same coastal hay, and 120 days of the same liquid feed for a protein supplement. The only thing changed was the way the mineral was presented. The results were as follows:There was a significant increase of 45-lbs. 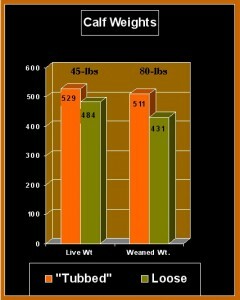 more weaned weight per calf on the “tubbed” mineral group Vs. the loose mineral group. Also the cows on the “tubbed” mineral had a one point better body condition score prior to weaning & a 3% increase in breed-back. When you compare the increased weight gain on the calves Vs. the total number of cows started in the trial , there was a much larger increase—80-lbs more weaned weight per cow. 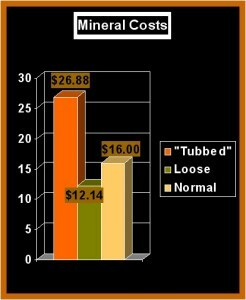 This was due to the higher percentage of calves weaned on the “tubbed” group (97%) Vs. the loose mineral group (89%). 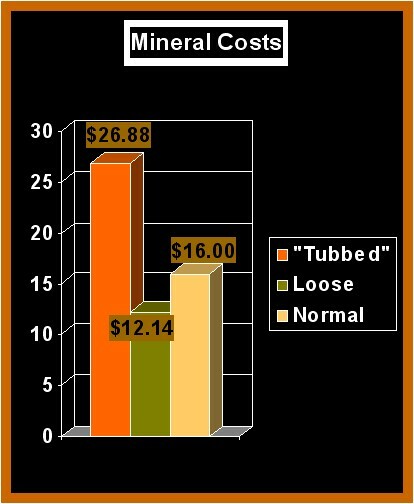 As you can see our tubbed mineral costs about $10.00 per year over a normal loose mineral program. Is that $10.00 worth up to 45 lbs. heavier calves or up to an additional 80 lbs more weaned per cow? © 2012 Postive Feed, Inc.